There was a time, not too long ago, when a square, cold hunk of metal ruled my life. The (not so) mighty scale. But as my ED progressed, my dietician forbade me from the scale. I stopped weighing myself on my own. It was hard, I was addicted. Going to someone else’s house with a scale in their bathroom was an ultimate test, but I did it. The problem was that it was still there. Calling me. “oh, you really shouldn’t do that, go see what it did to you”. When I was in my outpatient recovery program, we had weekly family sessions. At one of these sessions, we discussed triggers in the home. After, my brother took our family scale, that cold omnipresent hunk of depression, outside. And we smashed it. It was the best feeling. I felt free. We all did. For a while, things were going great. One month ago, two months out of my recovery program, I wandered into my parent’s bathroom to grab the nailpolish remover. And thats when I saw it. A shiny new scale. Glass, digital, 10x more accurate than the little old spinning dial scale. It even weighs to the tenth of a pound. I was agahst. I couldn’t believe my eyes. I thought “Are they trying to kill me?” The temptation was back. The cloud was back. But I promised myself ImnotgoingtodoitI’mbetterthanthatI’mfinejustfine. Three days later I weighed myself. I told myself it was just to calm the nerves. One qick look and I’llshowyouEDIdon’tneedyou. What a lie. I knew it too. I asked my mom about the scale. She defended that they (the parents) need it to keep their weight in check and maybe I just shouldn’t be allowed in their room. The very same person that 2 months earlier had admitted that she, too, let the scale dictate her life, was telling me that it was to rule again. I vented about it to my counselor. I had just told her about smashing the scale a week ago, and now it was back. “No, I haven’t weighed myself, I’m past that. Its the principle of the thing” I told her. I had weighed myself twice by then. Its starting to get ridiculous now. And I am ready to be done. 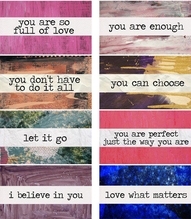 I know it. I just need to convince the voice in my head that I’m ready. So thats what this is for. No, I can’t smash the new, glass, digital, fancy pants scale. But I can smash the voice in my head telling me I need it. I can watch the video we took of when we smashed the first scale. And I can keep moving on. I invite you to join me. Smash your scale. Document it. Live freely. 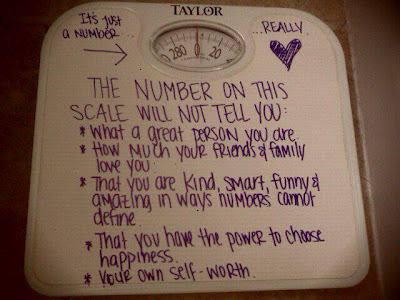 Because we are all worth so much more than a number, even if it is digital to the tenth of a pound.